How when cloning another JotForm users form via the url of their form change the original payment tool like PayPal to your email address instead of theirs? 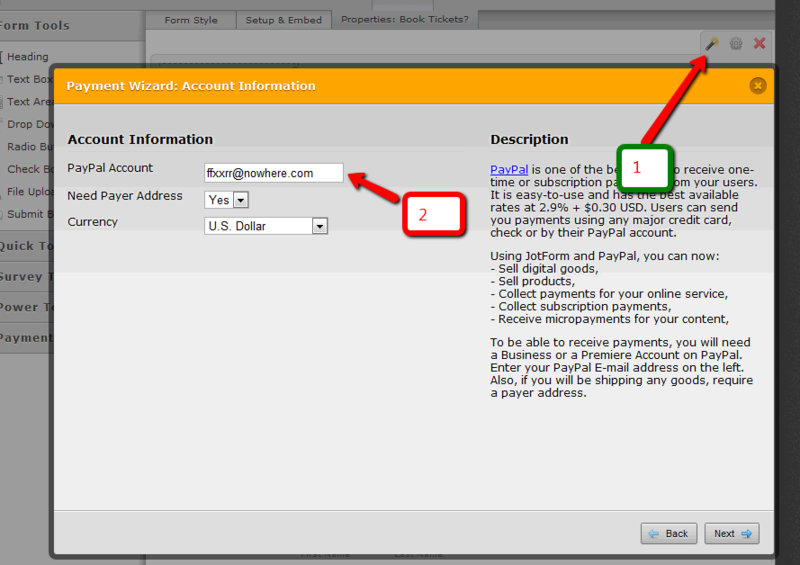 Just click the payment wizard icon, and enter your email address. Then click -> next, next (next) -> finish.